Modern Mormon Men: Guest Post: How Much Is Too Much? Guest Post: How Much Is Too Much? Bradly Allen Baird is the father of two amazing children and served a mission in the Finland Helsinki Mission somewhere around the dawn of time. Having acquired an MBA and then subsequently throwing over his entire (and incredibly boring) professional(?) life to study biotechnology and computer information systems, he is finally finding his way as a modern mormon male. Oh, and he became interested in the bloggernacle a few years ago by submitting comments and a couple of guest posts to A Motley Vision. You can read Bradly's first guest post here. 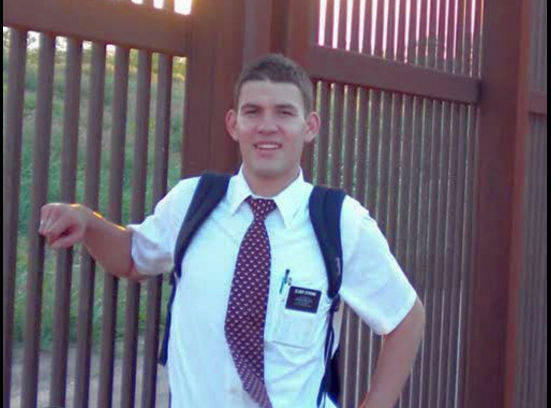 With the arrival of the news on November 9th that two LDS missionaries were killed by an automobile in Texas, I have been wondering about the families of these young men and how they might be coping with such a sudden and terrible loss; especially one family member who is an acquaintance of mine and who has suffered some extraordinary challenges in the last eight weeks. In addition to losing his younger brother last evening, I watched this good man lose another member of his family in - what appears to be - a brutal murder just a few weeks ago. And, to top it all off, his home was foreclosed on just a couple of weeks ago because his real estate-related business has been in serious decline over the last few years. I know this man to be a good, kind, and generous person who has been a valued member of our ward since before our corner of the neighborhood was shoe-horned into the ward thanks to a personally devastating stake re-alignment. And I am wondering how he is feeling and what he is thinking; not only about the terrible events of the last 24 hours, but also about the other challenges that have come his way in last few weeks. The Savior teaches that we will have tribulation in the world, but we should “be of good cheer” because He has “overcome the world” (John 16:33). His Atonement reaches and is powerful enough not only to pay the price for sin but also to heal every mortal affliction. Whatever his thoughts and feelings at this time, I imagine that this man will be strengthened by the experiences of the last several weeks. He will most likely become a better, more faithful Latter-day Saint, even though he is certainly encompassed about right now by the "refiner's fire." I, personally, have witnessed his faithfulness and his goodness as a father, husband, and priesthood holder in God's Kingdom; not to mention the tremendous service he has rendered in our ward and stake. He will always be, for me, an example to me of how to be a modern mormon man.